Nissen Estates are proud of their tradition of providing a professional service that is both courteous and efficient and delivered by highly motivated and experienced staff with an intimate knowledge of their local area. It is reassuring to know that one firm has retained its identity and still believes in the traditional values of achieving results through service and experience. We are here to provide a consistently high standard of service and we firmly believe that the best approach is to focus on you, the client, and as such we are all contactable via our direct lines, email addresses and mobile phones. At Nissen Estates we always keep a watchful eye on market trends and pass the benefits of our knowledge straight to you. All of our clients have benefited from our fantastic local knowledge and experience which we intend to continue improving. Whilst dealing with us you can be confident that we will keep you fully informed of the entire process from finding a buyer to the completion, or in the case of letting, from the time the tenant’s move in until check-out. At Nissen Estates we feel confident that we can provide an exceptional level of service and professionalism, blending modern day marketing techniques with traditional values we hold dear. 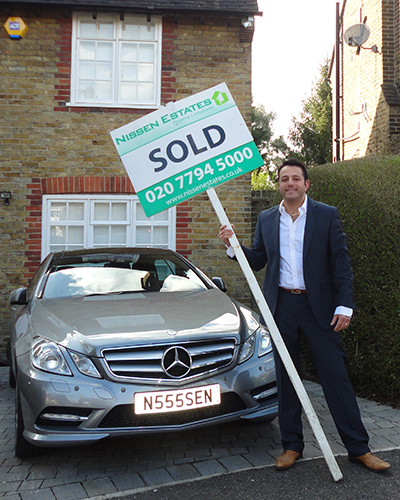 Nissen Estates predominantly cover a range of properties in: Hampstead, Belsize Park, Kilburn, West Hampstead, South Hampstead, St Johns Wood, Swiss Cottage, Primrose Hill, Hampstead Garden Suburb, Hendon and Golders Green. We also specialise in affordable student accommodation and we are highly recognised as one of the European Business School's main agents in helping to find suitable accommodation for students in and around central London in addition to working closely for many years with many Embassies from around the world. Established in 2008 but born from recommendation.